A border has divided the Azerbaijani people for nearly two centuries. To the north of the border lies the independent Azerbaijan Republic, while to the south lie the Azerbaijani provinces of Iran. The Azerbaijanis, or Azerbaijani Turks as they are also known, constitute the largest ethnic minority in Iran. Though exact figures are not available, there are thought to be some 25 to 30 million Azerbaijanis in Iran, three times the population of the independent Azerbaijan Republic. 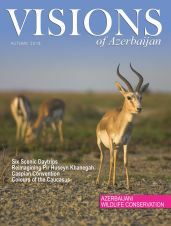 Dr Pervane Mamedli of the Azerbaijan National Academy of Sciences takes a look at contemporary Azerbaijani literature south of the border and the problems it faces. The language, art and spiritual values of the people of Southern Azerbaijan have been under pressure for the last 80 years. In literature this pressure is reflected in the recurring themes of rebirth, revival, separation and self-assertion. National revival, which occurs periodically in Southern Azerbaijan, can always be seen first in literature in the mother tongue, Azerbaijani. The regimes of the shah and the mullahs have always tried to keep a lid on the language, literature, theatre, cinema and music of the Azerbaijani Turks. Cultural life has advanced in Iran after every revolution and popular movement. The overthrow of the Pahlavi regime and establishment of the Islamic Republic of Iran led to a brief spell of comparative freedom: there was a great revival in the publishing of books, newspapers and magazines in Azerbaijani Turkish and in the literary sphere as a whole. But unfortunately, this revival lasted for only a couple of years, from 1979 to 1981. The collapse of the Soviet Union and gaining of independence by the Azerbaijan Republic to the north in the early 1990s had an impact on Southern Azerbaijan. The barbed wire at the border was removed and the separation of the Azerbaijani people came to an end. TV channels from Turkey and the Azerbaijan Republic were broadcast via satellite to Iran. Relations in art and literature had room to grow and develop. Reza Shah Pahlavi (ruled from 1925 to 1941) introduced a policy of assimilation of the non-Persian peoples of Iran, which included bans on their languages. Since then, however, in the south the language has been used and preserved in folklore – in minstrels’ epics, fairy tales, ballads, ditties and funeral songs, wrote Mammad Amin Rasulzade, one of the founding fathers of the Azerbaijan Democratic Republic. Conscious of the role of the written word in increasing national awareness, the government did not give permission for the publication of works of literature in Turkish. Azerbaijani Turkish authors had to write in Persian in order to get published, but there were some exceptions such as Sahand, Savalan, Habib Sahir and Mammadali Farzana. They managed to get their work published in small print runs, often in secret, or with the location and printing house not named. In the 1920s Taghi Pifat, who followed modern Turkish literature in Iran, introduced innovations in both the form and content of poetry. With Jafar Khamneyi and Shams Kesmayi, other Azerbaijani poets who had studied in Europe, he started a literary revolution, laying the foundation for a new, free style of poetry. The poets published mainly in Tajaddud newspaper, whose name means ‘renewal’ in Arabic. 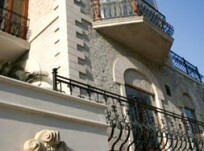 As Southern Azerbaijani authors have written widely in Persian as well as in their mother tongue, an “Azerbaijani style” has emerged in Persian literature. For a long time Azerbaijani poets in Iran had to write mainly in Persian and many of them produced work of the highest quality. Nevertheless, quite a few poets did not forget their mother tongue or came back to it after writing for a long time in Persian. The greatest of these was the immortal Azerbaijani poet Muhammad Huseyn Shahriyar (1906-1988). 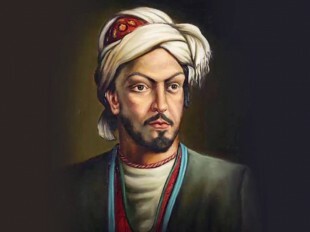 Considered one of the greatest writers of traditional Persian poetry, Shahriyar wrote the masterpiece Heydar Babaya Salam (Greetings to Heydar Baba) in his native Azerbaijani Turkish. In this long poem, made up of 125 five-line stanzas, the poet reflects on his happy childhood in a village at the foot of a mountain known as Heydar Baba (Grandfather Heydar). 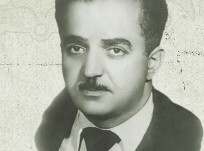 Heydar Babaya Salam was published in Tabriz in two parts, the first part in 1954, and the second in 1966. “Speaking his people’s sorrow in Persian”, Shahriyar was banned from writing in his mother tongue for many years. However, when he wrote in Azerbaijani Turkish in the 1950s, it was as though he breathed new life into the language. Heydar Babaya Salam and other poems by Shahriyar caused a renaissance in Azerbaijani Turkish literature and awareness in Southern Azerbaijan. He had shown the language’s resistance to assimilation. Moreover, Shahriyar created a new literary current or school, encouraging the writing of new works in this spirit and style not only in Azerbaijan, but in several Near Eastern countries too. No contemporary writers can be compared to Shahriyar in terms of their role in the development of poetry in Southern Azerbaijan. He was a very fine poet and after the revolution was one of the most authoritative voices in the literary environment. After Shahriyar, the second most important writer in Southern Azerbaijani literature was Bulud Qarachorlu Sahand (1926-1979). Sahand became known for his poems in Azerbaijani, written during the Pahlavi reign despite the ban. His best known work was Sazimin sozu (The Words of My Saz), based on the medieval epic Book of Dada Qorqud. 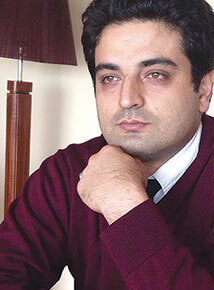 Sazimin sozu inspired other authors to write narrative poems in Azerbaijani too. Both Shahriyar and Sahand encouraged the younger generation to explore national traditions and celebrate the national spirit. The innovations in the work of modern poets Charles Baudelaire of France and Turkey’s Celal Sahir influenced writer Habib Sahir (1903-1988), who translated Baudelaire’s poetry into Persian and Turkish. Sahir and Sahand also introduced innovation into their poetry; Sahir by writing poems in a new form, and Sahand by writing new content. Sahir’s poems were famed for their romanticism, while Sahand’s had political bite. Alireza Nabdil (Oxtay) abandoned the traditions of classical poetry, introducing free form and a new way of thinking. In a word, Southern Azerbaijan’s poetry became modern. Ghazals have always held a special place here. These lyrical poems cover the traditional subjects of love or religion, but also refer to real life and social problems. 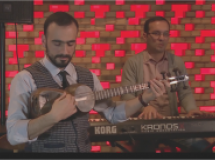 Poets such as Savalan, Sonmez, Hamid, Mammadtaghi Zehtabi and Behriz Imani maintain the traditions of classical ghazals but at the same time renew them. The 1960s generation of writers were aware of the difficulties encountered by their predecessors. Many of them remembered from childhood the year 1946 when the two Azerbaijans were united under communist leader Pishevari. Prominent among the 1960s writers were Samad Behrangi, Gulamrza Saidi (Govhar Murad), Alirza Nabdil (Oxtay), Merziye Uskil (Dalgha), Habib Sahir and Sahand. A way of avoiding censorship of literature in Azerbaijani Turkish was to write folklore or children’s books. Samad Behrangi was one of this more nationally aware generation and made his name through collections of folktales assembled with his friend Behrouz Dehgani. Behrangi concentrated all his attention on the younger generation, as he wanted them to stand up against injustice more than the older generation had. His children’s story The Little Black Fish was translated into English after his untimely death. Samad Behrangi and like-minded author Merziye Uskuyi, who wrote under the pen-name Dalgha (Wave), can be seen as the founders of children’s literature in Azerbaijani Turkish. Goulam Huseyn Saidi (also written Gholam-Hossein Saedi) was a writer of plays, film scripts, novels and short stories. Born in Tabriz, he became popular throughout Iran, but after the Islamic revolution had to spend the end of his life in exile in France. 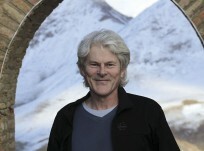 He wrote the scripts for some of the classics of Iranian cinema. One important aim in his film work was protesting at the government ban on the use of Azerbaijani Turkish. Goulam Huseyn Saidi was the founder of mystical realism in Southern Azerbaijani literature. Protests against the banning of Azerbaijani Turkish during the Pahlavi regime tended to come in waves. Though our Iranian brothers have not studied our native language, they use it almost everywhere: in private life, at weddings and funerals, in fact, everywhere from the cradle to the grave. The Iranian revolution of 1978-79 was unique. There were plenty of ethnic problems as Iran is home to different ethnic groups. Popular discontent with government policy led to demonstrations in the streets and squares. But, at a decisive point, this democratic, anti-monarchy revolution suddenly turned into an Islamic one. The slogans and speeches at the demonstrations changed. Religion has always been strong in Iran. An influential religious figure like Khomeini could lead millions of people. The anti-imperialist and anti-monarchist people’s movement against the regime in early 1978 went down in history as an Islamic revolution. 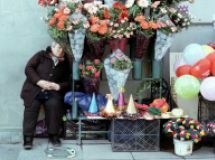 Although the people of Southern Azerbaijan could not achieve their desires in the socio-political sphere, the 1978-79 revolution did lead to a revival of cultural life. There was a press boom in literary works, especially poetry, appearing in newspapers and magazines rather than books. Poetry has always been the dominant literary genre in Southern Azerbaijan, as in the East as a whole. 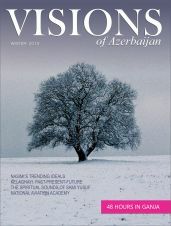 Writers and poets, who began their careers in the 1940s, found the opportunity to publish their work in the variety of journals that appeared in Azerbaijani after the Islamic revolution. While past generations thought in Turkish but wrote in Persian, the subsequent generation did the opposite, they thought in Persian but wrote in Turkish. This was a national tragedy. In Southern Azerbaijan intellectuals in every era have had their function. In 1978-79 the intellectuals who came to prominence on the wave of the revolution, led by Javad Heyat, Hamid Nitqi, Mammadali Farzana and Mammadtaghi Zehtabi, taught the people to speak and write in their mother tongue. There was a deepening of ethnic and Turkic feelings amongst creative intellectuals after the revolution. The scope widened for forms of literature that had remained in people’s memories – ashiq (or minstrel) songs and legends, epic poems and ghazals. A literary revival began in the 1980s with the arrival of a new generation or new wave. Despite the terror and repression in Southern Azerbaijan’s literature, poems and stories in their native language reflected people’s discontent, hatred and anger. Of course, most of these works were never published and some were destroyed. Others, however, did see the light of day. In their work both before and after the Islamic revolution, poets tried to encourage national awareness and unity amongst Azerbaijanis. The people’s revolution, which turned into an Islamic one, did not bring the people anything – this was the criticism made in the work of Habib Sahir, Hashim Tarlan, Chayoghlu, Firidun Hasari, Suleyman Salis and Mammadali Mahzun. The wave created by the revolution, the eight-year Iran-Iraq war and the defeat of the popular revolutionary forces were all reflected in literature. The period of openness lasted only a short time – two years – and in the early 1980s successful writers and poets were persecuted: some died, while others became followers of the government line. Satire remained strong, as often it was the only method of expression left. Prose here is not as well developed as poetry. This is partly because of the traditional pre-eminence of poetry in eastern literature, partly because of the limited opportunities to publish prose and partly because of the relatively slow development of the literary language. Most of the prose work in Southern Azerbaijan, like the rest of the Near East, was written in the 20th and 21st centuries. In the south, the increase in publishing of Azerbaijani Turkish newspapers after the revolution encouraged the development of prose language from the 1980s onwards. Stories, essays, memoires and novels were written in Southern Azerbaijan. Some of the more influential writers at that time were Ganjali Sabahi, Hamid Mammadzade, Aghchayli, Rahim Daqiq, Ismail Hadi, Nasir Manzuri, Nasir Merqati and Alif Nuranli. Events in Southern Azerbaijan have proved a rich source of material for literary authors north of the border, many of whom have also influenced the development of Azerbaijani literature in Iran. One of Southern Azerbaijan’s modern poets, Dr Hamid Nitqi, wrote that you must have modern language in order to write modern literature and sought to show this in his work. A main role of literature is to turn a mother tongue into a literary language but there are many obstacles to this in Southern Azerbaijan. 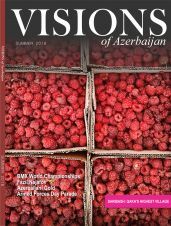 Traditions of writing and reading in Azerbaijani have weakened because of the lengthy ban on written use of the language and lack of education in Azerbaijani. As a result, mistakes do occur in prose. Another problem is the many dialects. It is natural to speak in different dialects, but literature requires a common language and dialect. Moreover, in recent years literature in Southern Azerbaijan has been written in Anatolian or Istanbul Turkish, North Azerbaijani Turkish and “common Turkish”, a language proposed over 30 years ago by the late Professor Nitqi and Dr Javad Heyat. Anatolian or Istanbul Turkish is proving most popular amongst younger writers. The lack of literary criticism has been another significant obstacle to the development of literature in Southern Azerbaijan. However, interest in criticism has been growing in recent years with several critics, such as Hummat Shahbazi and Jafar Bozorgamin now well established. On 22 May 2006, the ban on the traditional march to the fortress of 9th century leader Babek led to popular protests in the major cities of Iranian Azerbaijan – Tabriz, Ardabil, Meyaneh, Meshgin Shahr, Maragheh and Urmia. That historical movement made itself felt in Azerbaijani Turks’ cultural life. The fight for the native language, for national self-assertion produced results. Literature has become very different since 2006. Authors, who were writing in Persian, returned to their mother tongues. A new generation with a new way of thinking emerged. It was the new generation that laid the foundations for contemporary literature. Some had a stronger national identity than their predecessors, others were oriented more towards Western or avant-garde poetry. The abundance of subjects and styles, the free-thinking spirit, are the most striking qualities of this literature. The poetry that was inspired by the streets and trenches tended to consist of slogans and exhortations. The new generation who began to write in the 1990s tried to sweep away the old principles. Sahar Raiszade was one of the leading lights in the new poetic movement. Young poets Suleymanoghlu, Nadir Azhari, Ziba Karbasi and Arastu Mujarrad have subsequently managed to create a new style in Southern Azerbaijan’s poetry. Today “rebirth literature” predominates with mother tongue and homeland its main themes. Other subjects include freedom, the search for identity, and dissatisfaction with the political and cultural situation. In all styles of prose, the world, life and death, love and cultural dissatisfaction also remain popular themes. While Southern Azerbaijani authors write novels, memoires and essays, the most popular genre is the short story. This lends itself well to writing about daily life and the most important issues of the day. “Flash fiction” or “short short stories”, which have gained ground in Europe since the 1960s, is a popular format. Some of the best-known authors of flash fiction in Southern Azerbaijan are Murtuza Majidfar, Hamid Arghish, Toghrul Atabay, Maliha Azizpur and Mohammad Subhi. 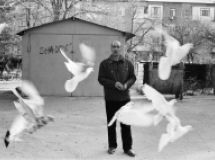 In flash fiction they kill two birds with one stone – by keeping language concise they avoid some of the unresolved problems of literary Azerbaijani and at the same time develop succinct language to express deep meaning. Flash fiction has been a godsend for Southern Azerbaijan’s writers. 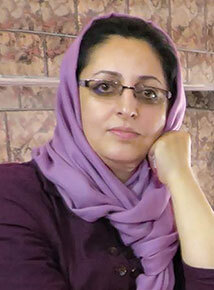 Ruqayya Kabiri is a writer known for the expressiveness of her prose and her variety of themes. From time to time she revives episodes from Kafka’s Metamorphosis in her stories, but her character subject to metamorphosis is an emotional woman, full of life. Despite the popularity of flash fiction, the novel serves as a mirror of Southern Azerbaijan, with the work of Guntay Ganjalp and Sayman Aruz reflecting the way of life, social policy and religious problems. The student movement – Although more work was published in Azerbaijani Turkish in 1997 after Mohammad Khatami became president of Iran, failures in tackling the problems of ethnic minorities prompted the start of the student movement. 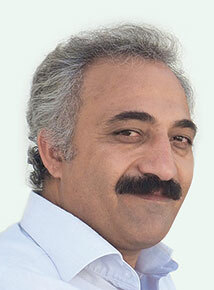 When the parliamentary candidacy of Azerbaijani activist Tabrizli Chehregani was rejected, this gave a further impetus to the student movement. A new generation of writers emerged in this heightened atmosphere. The birthday of Babek has become a symbol of national freedom. (Babek, also known as Babak and Babek Khorramdin, led the 9th century freedom movement in Iranian Azerbaijan against the Abbasid Caliphate – Ed.) Marked every year with a march to Babek castle in north-west Iran, Babek’s birthday is the focus for popular gatherings and expressions of internal discontent and national self-assertion. Although the government has banned these meetings, expressions of discontent are made in other ways. 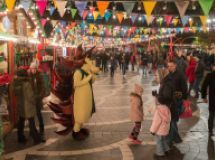 Insults against Turks in Iranian TV programmes, and especially a newspaper cartoon published in 2006 which led to mass protests, have all been reflected in literature. Every match of the football team Tractor, which is from Tabriz, capital of the East Azerbaijan Province, is a platform for Azerbaijani Turks to demand their rights. Moreover, Tractor are one of the best supported football teams in Iran, often with crowds of 80,000 at their games. Protests over the falling water levels in Lake Urmia have had an international resonance. Azerbaijani intellectuals and experts warned about the impending environmental disaster, while people protested about government inaction on the problem. Popular feeling was summed up in the slogan “Lake Urmia is dying by government decree”. This environmental threat has already attracted the attention of the international community and last year the UN Development Programme and Iranian Department of the Environment drew up a plan to save the lake. Difficult though it is, a new literary generation has taken shape in Southern Azerbaijan over the past 10 years. Writing in their mother tongue, they reach the new generation of readers through the Internet, including a variety of literary portals and blogs. Authors living in the USA and Europe are part of this new generation too. Think global, write local, could be the slogan for many of these authors who keep up with the trends in world literature but choose to write in their mother tongue. There is a generation problem in the literature of both parts of separated Azerbaijan. It is natural for older writers to express their nostalgia in their work, while the younger ones want to break the old literary clichés and templates. The latter see themselves as postmodernists. 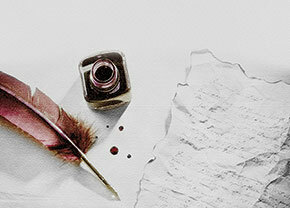 Each writer of the new generation has their own distinctive style. Young generation writers don’t write about longing, separation and tears any more. Their main themes are urbanism and postmodernism. Literature is developing at full throttle in Southern Azerbaijan. About the author: Dr Pervane Haji qizi Mamedli is a lead researcher at the Azerbaijan National Academy of Sciences’ Nizami Literature Institute. She has lectured at the Baku State University’s Faculty of Journalism and the National Aviation Academy. She is the author of several books and winner of the Hasan bey Zardabi and Samad Bahrangi prizes.